Los Angeles, CA -The LA weather was invitingly warm on July 31, 2011. The Hollywood Bowl was alive. Busses were still pulling in, fans still climbing the hill, and TV cameras were all over covering what was happening on the stage. People were upbeat and packed down with everything they thought they would need for the evening, from sandwiches and cold beer to cheeses and warm wine. Incense was in the air and its white clouds hung in whiffs between the bodies. Before the sunlight went dim, the concerts host, KCRWs Jeremy Sole, introduced himself and the nights first performers, Ras Michael and the Sons and Daughters of Negus. The legendary Ras Michael, whose music is built on the foundation of Count Ossie’s Rastafari drumming, took the vibe to another level. As the sun slowly set and the audience began to settle, Ras Michael brought us into his world with the layered echo-ness of his music. The guitars, keyboards, bass, and horns danced slightly above his voice; it was officially Reggae Night X at the Hollywood Bowl. Before Jeremy could even finish the words Mighty Diamonds, the crowd finished it for him. The singing trio, who has long been one of the most beloved Reggae groups worldwide, came on next. Their harmonies are sweet and their lyrics almost innocent. Its easy to love them and hard not to sway. 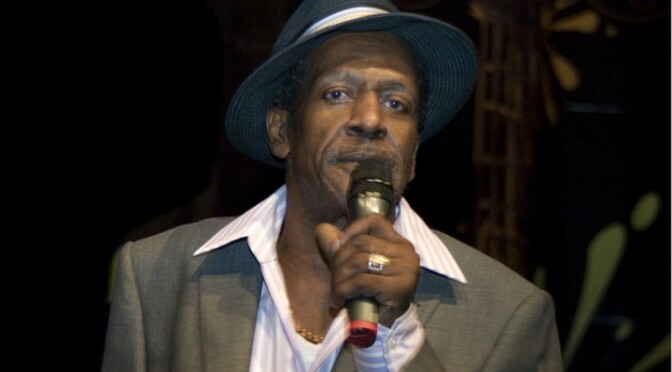 Headed by lead singer Donald “Tabby” Shaw and backed by Fitzroy “Bunny” Simpson and Lloyd “Judge” Ferguson, the group is known for their earnest sound. 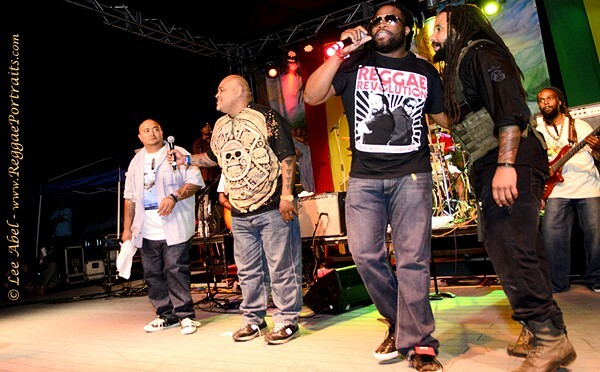 Their singing is so heartfelt and sound so moving even first time Reggae listeners find them relatable. Their set was over too soon, and Jeremy was on back on stage introducing The Wailing Souls. And soulful they were! 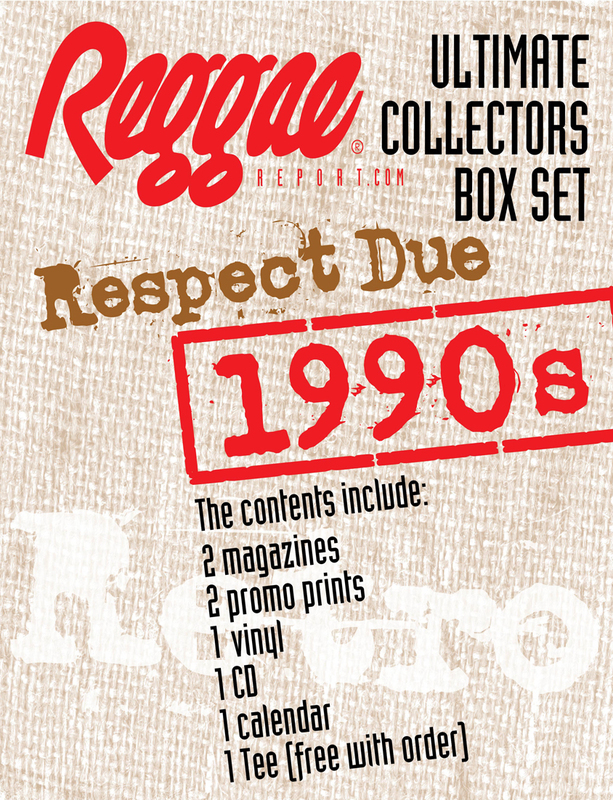 Their sound is an old school ode to Reggae music. 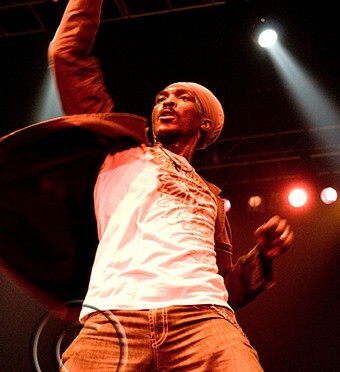 Their music is geared to reliving Jamaican roots. The Wailing Souls live in their vocals, and their voices are the most live part of the music. Though the music is quite calming, their performance and dance is animated and alive. The crowd couldn’t resist joining them and for the first time all night, everyone was out of their seats swaying, dancing, or holding someone close. 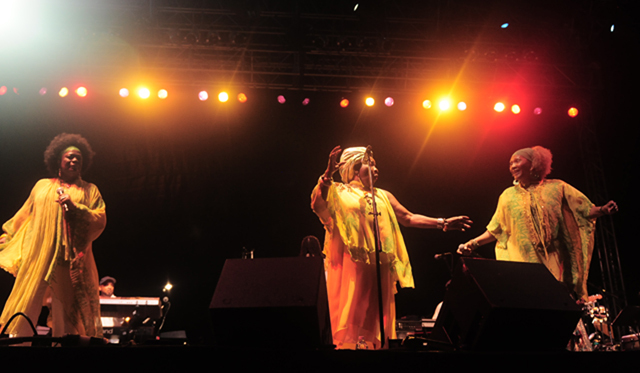 The I-Threes – Rita Marley, Marcis Griffiths and Judy Mowatt then graced the stage and they were simply amazing. Their performance was equally powerful, spiritual and emotional. The only female group performing this night, they brought a sweetness and regal quality that poured off of the stage and onto us. When they sang Cant Give Up Now, little flashes of light began to flicker from everywhere and we were all one person in that place. The I-Threes understood us and we knew that everything was going to be just fine. 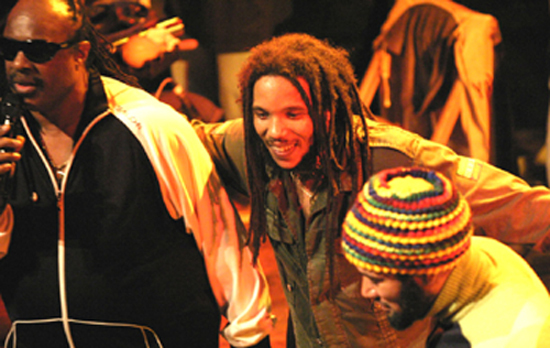 As headliner Ziggy Marley ran onto the stage he jumped directly into his set. No fanfare or long introduction, just Ziggy and his guitar. No one returned to their seats. By the time he launched into Love is My Religion, the entire crowd was dancing to the hypnotic simple joy of the Ziggys upbeat sound. The vibe was gentle and fun. By Personal Revolution, we were ready for just that, and willing to let Ziggy carry us there. He introduced several songs off his new Wild and Free CD, and in a quick flash and trail of his long locks, he was off the stage. It was all over. Ziggy! Ziggy! Ziggy! they chanted. He granted us one more song, choosing Jamming, always a crowd favorite. Then quickly and humbly he was gone again. Reggae X at the Hollywood Bowl ended with a slight bow and a kiss to us all. Previous PostReggae on the River 2011Next PostGreetings Reggae Family!